The Planning Commission is embarking on a new approach to agriculture planning. But state governments and the finance ministry are reluctant to invest in "untried" concepts. A NEW approach to agricultural planning, drawn up by the Planning Commission at the instigation of Prime Minister P V Narasimha Rao, has run into a near-fatal snag: State governments are jittery about putting their money into something that still hasn't been proved tried and true. Rao had urged the Commission last year to give priority in the Eighth Plan to agro-climatic regional planning (ACRP), which includes dividing the country into agro-climatic zones and tailoring agricultural prescriptions to zonal conditions, instead of merely setting overall production targets. But ACRP trials scheduled initially in 30 districts had to be pruned drastically to just five, because state governments were in a dither about the scheme's financial and administrative implications. The ACRP came into vogue after planners realised the high grain outputs and agricultural growth rates of the Green Revolution benefited comparatively few farmers and only in a few areas. During the mid-1970s, for example, Punjab, Haryana, western Uttar Pradesh, Maharashtra and Andhra Pradesh contributed about 42 per cent of the agricultural output, largely because resources were pumped into these states. Flawed approach The planners had anticipated that growth in agricultural output would raise farm incomes, but during the mid-term appraisal of the Seventh Plan, it became clear that the Green Revolution approach was not the best because of its emphasis on crop output, based on across-the-board application of new seed varieties and chemical fertilisers. Almost 70 per cent of dryland agriculture in the country was ignored. There was an environmental price, too. Says Planning Commission member Jayant Patil, "The net result of the obsession with selected crop output was loss of valuable productive soil." About 175 million ha are estimated to be severely degraded today. ACRP classifies the country into 15 agro-climatic zones and 73 sub-zones, on the basis of soil capacity, climate and water availability and matches policy recommendations on resource management to each zone's specific characteristics. For example, in the western Himalaya, ACRP suggests dyking water to check erosion, establishing plantations to meet fodder and fuelwood requirements, reducing forest use by farmers to curb erosion, improving livestock management and increasing fisheries as an income source. The state's role, however, is limited to demarcating land for agriculture, pasture, forestry and horticulture and improving the marketing infrastructure. In the lower Gangetic plain, where the main problems are poor drainage, floods, waterlogging of coastal plains, water run-off and water scarcity, the planners advise controlled irrigation and increased use of canal and groundwater to check waterlogging; raising embankments in naturally depressed places as Malda, Nadia and Midnapur in West Bengal to collect rainwater and control inundation, and maximising production potential by growing a variety of crops instead of just rice.  Transferring resources to previously neglected areas. A Planning Commission official concedes project proposals from Punjab and Haryana have been set aside "because we want to go to other areas." Planners argue ACRP leads to decentralisation and implementing it will require working with local groups, encouraging community action and even reviving traditional resource management systems. That this is vital was stressed by Y K Alagh, vice chancellor of Jawaharlal Nehru University (JNU) who spearheaded ACRP during his stint on the Planning Commission, who commented wryly, "We are in the somewhat happy state of practice (among farmers) being ahead of theory (among planners)." Adds Patil, "We see an immense possibility of involving grassroot panchayati raj institutions in implementation." Most of the micro-planning has come from extensive documentation of people's initiatives in managing resources and Patil notes, "The farmers are already doing it. We are only bringing in more scientific and technical inputs." As a rule, community action is attractive because it effects cost savings. Economist C H Hanumantha Rao explains, "State governments find it difficult to recover investments in setting up and maintaining irrigation projects. Decentralised planning can involve farmers in the management of these structures and also pave the way for better water-pricing to recover costs." Sudipto Mundle, an economist at Indian Institute of Public Finance, estimates only 20 per cent of irrigation and flood-control costs is recovered, resulting in an enormous burden on the exchequer. The five trial districts for ACRP are Purulia in West Bengal, Puri in Orissa, Mehsana in Gujarat, Tiruchirapalli in Tamil Nadu and Shimoga in Karnataka. But state officials generally seem unwilling to bear the assigned 50 per cent share of any additional expenditure. A Tamil Nadu agricultural official points out, "How can we commit Rs 600 lakh originally estimated for the pilot project, without knowing the outcome?" It is such caution that has led to a soil improvement project in Tiruchirapalli district being cut back now to just one block. The Union finance ministry, too, is unwilling to commit large sums of money. The expenditure finance committee rejected at its April meeting a proposal to allocate Rs 30 crore for this year's pilot projects, sanctioning only Rs 13 crore instead. Alagh is impatient with such responses. "Plans are not shopping lists," he asserts. "There is enough money floating around for rural and agricultural development. What we need is a focussed priority." The unwillingness of state governments to respond positively to ACRP stems partly from bureaucratic coolness to new procedures as for example, when they are asked to prepare physical plans on a particular district's land use and watershed, instead of planning aimed at overall output. Planning Commission adviser D N Basu comments, "A state may aim at an output target that in reality is achieved by only a few districts. In Orissa, for example, about 60 per cent of the rice production comes from only five districts." There is still much confusion regarding the organisational set-up for local planning and implementation. The four-year project in Orissa will be run by the collector with personnel from various departments, but it will be under the overall direction of the vice-chancellor of the zonal agricultural university. In West Bengal, however, the sarpanch will be the supervisory authority. Already, compromises have been made. To avoid clashes between various state authorities, conventional administrative blocks have been designated for implementing ACRP. And, attempts to coordinate departments have caused much heartburn. In West Bengal's Purulia district, for example, irrigation department officials are apprehensive that ACRP will supersede their authority. A commonly voiced criticism of ACRP is that its success hinges on the goodwill of the existing state bureaucracy. Basu concedes, "ACRP will be at risk if the concept is not institutionalised soon", but another official warns, "If one state official gets transferred, the project might get shelved." Economist L C Jain, a former Planning Commission member, asserts: "To prepare a plan on the assumption that the departments will work together, is an exercise in self-deception." He argues that experiments based on area approaches and local conditions -- such as the national watershed management and drought area development programmes -- have had "no impact on departmental functionaries". Experts also stress the importance of sending the right signals to farmers. Ashok Gulati of the National Council for Applied Economic Research cites the example of subsidised power and says it has led to excessive withdrawal of groundwater to cultivate water-intensive sugar cane in water-deficit areas. "Farmers respond to market signals and the government's pricing policy," says Gulati. "When you ask farmers to follow certain rules, you could simultaneously send them signals to do something inconsistent with ecological constraints." 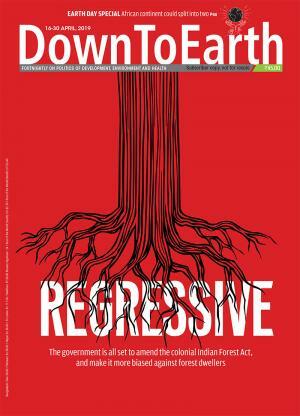 Argues Arun Ghosh, an economist and former Planning Commission member, "A plan like this cannot deliver unless truly decentralised planning is achieved and that is possible only through deep-rooted socio-economic changes." But economist Utsa Patnaik of JNU insists the scheme is already years too late, because Union finance minister Manmohan Singh's economic liberalisation measures will render it superfluous. "The laudable resource-specific development model may never take off," she says, "because the new economic policy has changed the entire concept of the Indian economy." Some economists worry that ACRP's export-led growth, coupled with the bias favouring commercial and horticultural crops, may upset local food security. Says JNU economist Sheila Bhalla, "Almost all ACRP zonal plans show a very high demand for horticultural and other cash crops. Ultimately, it could become a very narrow strategy and a case of missing the wood for the trees." Criticism of ACRP is usually general rather than specific, because little is known about the concept. Planning Commission officials initially hailed ACRP as a radical change, but now they play it down and one official explained why: "It was a mistake to have made such high claims. We want to proceed very cautiously." But Alagh asserts that "even after 40 years of planning, the spread of agricultural growth is slow. Drought, low yields and poor drainage still afflict Indian agriculture and create unbearable stress on resources." Alagh calls for a more realistic assessment of the country's resources to ensure balanced and sustainable agricultural development. He is optimistic ACRP can help provide such an assessment.